After duplicating the image and scaling it down to half the size, you place it inside the borders of the frame. Then do some masking to blend the different layers together so it looks more natural. Lastly, use the liquify tool to connect the hand in front with the arm in the second layer and blend them together. 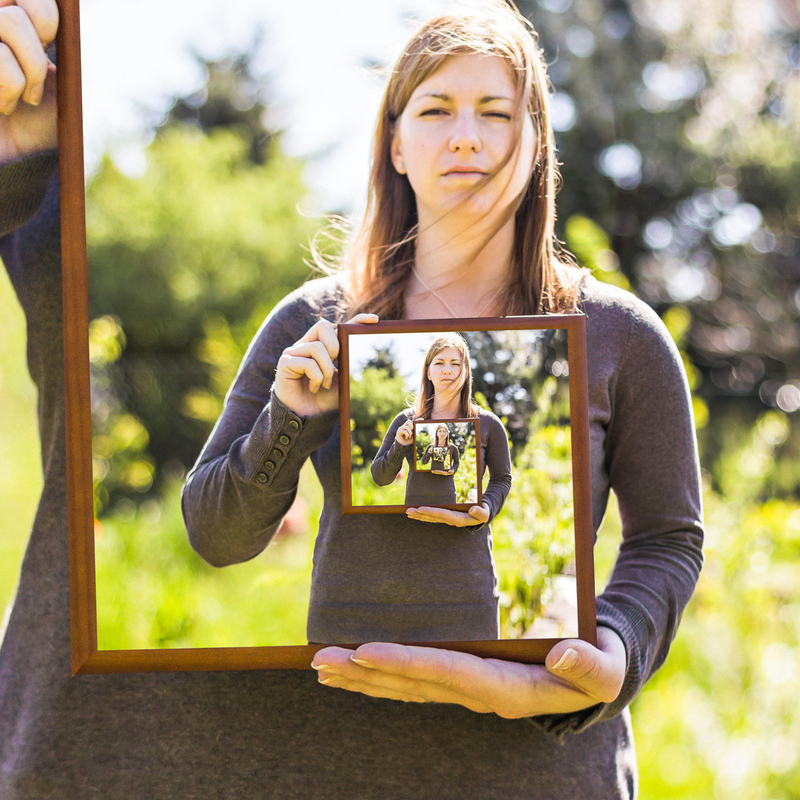 For an easier way around this you can use filters and plug-ins like Escher’s Droste Effect that work in Photoshop. Looks pretty cool! However, her left hand looks way out of proportion in the inset image. It has that look int eh fore image as well, just not as bad and might be due to tilting the mirror bottom forward? But the smaller image it is more pronounced. Wow, her left hand and fingers are huge – must be at least 18 inches long! She must be an incredible basketball player. The effect on the hand is interesting. It looks huge, but only because it seems tied to the smaller image of the body of the next photo. I guess the brain sees the head and the arm and expects the hand to be proportional to that.